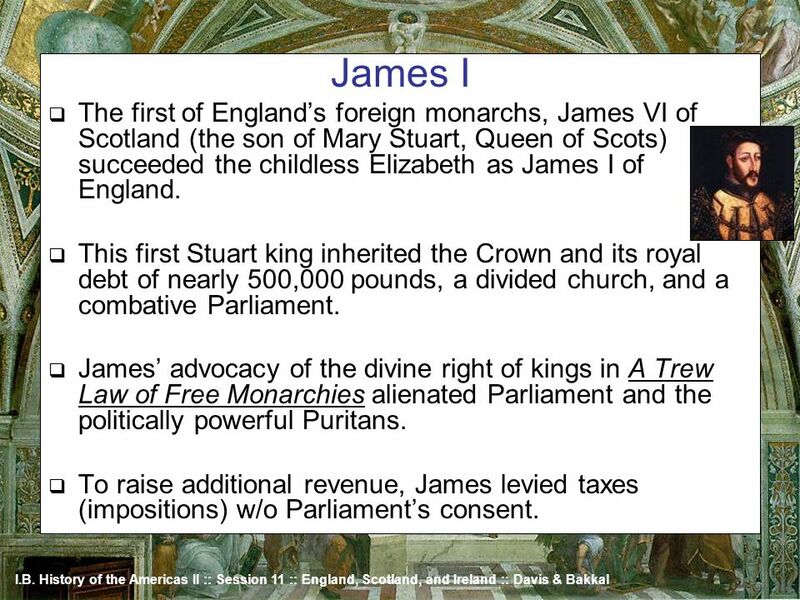 James VI's The Trew Law of Free Monarchies. Robert Greene's play The Scottish History of James IV (posthumously). 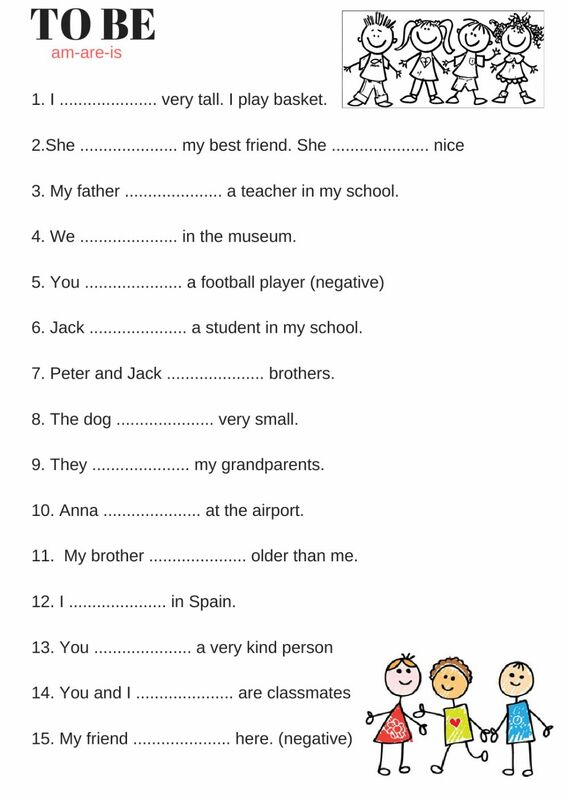 Births. Elizabeth Bourchier, later Elizabeth Cromwell, Lady Protectress of England, Scotland and Ireland (died 1665 in England)... Trew law of Free Monarchies James IV of Scotland (who was also James I of England) wrote this book before becoming a king, supporting the idea of Divine Right of Kings, which stated that monarchs were chosen by God and therefore had God's power backing them up. 24"The Trew Law of Free Monarchies," in McIlwain, ed., Political Works, 62. This content downloaded from 141.20.212.119 on Sat, 11 Jan 2014 04:09:37 AM All use subject to JSTOR Terms and Conditions... 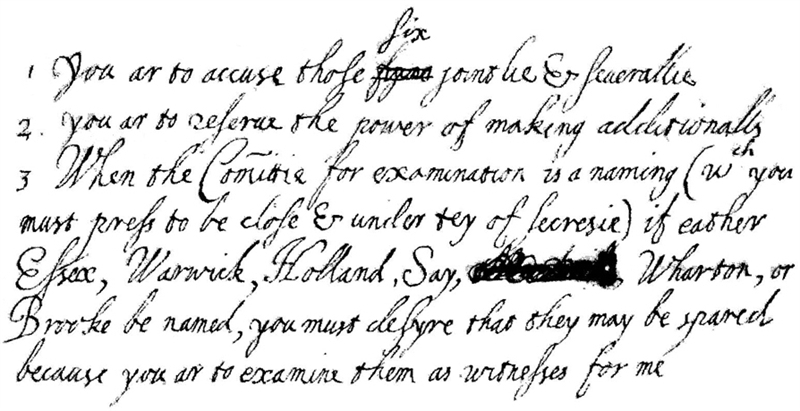 This article considers James VI and I's treatise on the divine right of kings, The Trew Law of Free Monarchies (1598), in relation to his earlier treatise on witchcraft Daemonologie (1597). This article considers James VI and I's treatise on the divine right of kings, The Trew Law of Free Monarchies (1598), in relation to his earlier treatise on witchcraft Daemonologie (1597). 19 James I, Trew Law, 54. 20 Wormald , Jenny , “James VI and I, Basilikon Doron and the Trew Law of Free Monarchies: The Scottish Context and the English Translation,” in The Mental World of the Jacobean Court , ed. Peck , Linda Levy ( Cambridge , 1991 ), 45 .